Can goths and surfer dudes help solve the bin-picking problem? American universities are conducting research aimed at improving the accuracy of the adverts automatically served up on social media sites. Paradoxical though it may seem, the machine vision industry could be one of the beneficiaries. Researchers at both the Univeristy of California, San Diego, and at Carnegie Mellon University in Pittsburgh, USA, are apply computer-learning techniques to try to teach computers to recognise the meaning and significance of images in the same way as human beings. The Never Ending Image Learner (NEIL) is capable of digesting large quantities of images to develop a common sense-based understanding of the world. It was developed by the Carnegie Mellon University and searches the web for images, which it then characterises to form some common-sense judgements about the world. One example is that based on text references from the children’s nursery rhyme, Baa Baa Black Sheep, it might seem that the colour associated with sheep is black, but NEIL can realise that sheep typically are white. The University of California, San Diego, is developing a computer vision system that can recognise different ‘urban tribes’ such as goths, hipsters, surfers or 'formals'. The university states that the algorithm could be used to better target advertising on social media websites by improving its appropriateness. By dissecting the image of a person into six ‘parts and attributes’, the computer can identify traits of each urban tribe and combine the resulting information. The sections are the face, arms, neck, torso, head, and hair (or headgear, if any). Once this information has been collated, the computer makes a decision as to which tribe the subject belongs to. When tried on images of groups of people, the method provides an accuracy rate of 48 per cent, according to the researchers. Initially researchers employed a computer-learning technique of supplying labelled images to the system to allow it to gain an understanding of common features of each group that repeat in the photographs. For instance, lighter-coloured hair and surfboards would often be present for surfers, whereas pale skin and dark hair might be common for goths. There is clearly potential here for applying such machine learning to automated systems employing machine vision. Current vision systems can often tell if there is an issue, but identifying what the problem is can sometimes prove difficult and requires an operator to step in and help. As the technology improves and gets closer to seeing the world the way humans do, the systems get better at identifying variations of the same image. 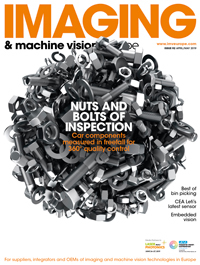 Applications could include the bin-picking problem, which is still stubbornly resisting the full application of machine vision techniques, as Jessica Rowbury’s feature in the December2013/January2014 issue of Imaging and Machine Vision Europe reports. Machine vision systems have problems in identifying individual items among a collection of randomly aligned parts placed in a bin. As the system struggles to tell the products apart, it has difficulty in instructing a robot to pick up a single part. If the techniques being developed by the researchers in the USA can tell a white sheep from a black one and a goth from a surfer dude, then surely they can be applied to recognise oddly shaped packages, and thus help solve the problem.